The BFA in Screenwriting in AMPD’s Department of Cinema and Media Arts — the only program of its kind in Canada — offers a full range of courses in writing for film and television. With an admissions intake of only 10 students per year, the program offers talented writers a challenging and nurturing educational and creative environment. Are you longing to tell stories in the world’s most powerful storytelling medium? Work closely alongside production students, gain on-set experience, and take advantage of opportunities to pitch your work and see it produced. As a screenwriting student you may also benefit from York’s renowned Creative Writing program. You may choose to do a minor in Creative Writing after taking the Intro to Creative Writing course in second year. Offers instruction in the fundamental concepts, procedures and techniques of visual and audio production as an idea is taken from the script to the screen. Course work includes the production of several short projects in various formats. Students are required to purchase production materials. Prerequisite FA/FILM 1120 3.00. Note: Required of all first-year BFA film majors specializing in production. 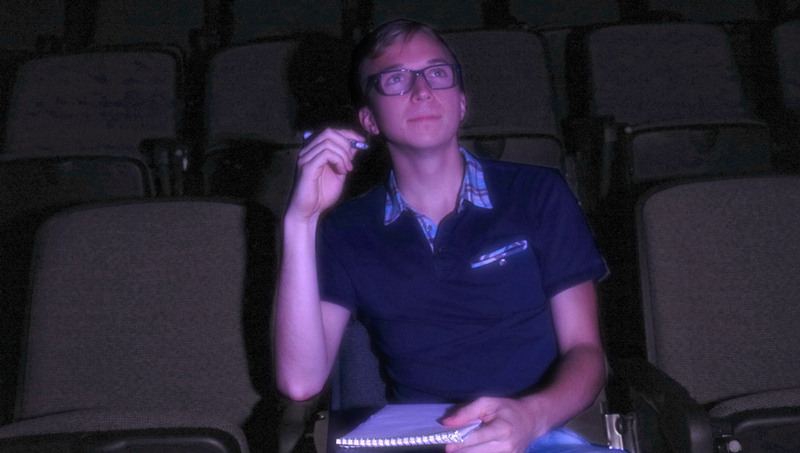 Enrolment is limited to BFA film majors. Develops the student’s existing story outlines into full feature-length screenplays and through several rewrites. The course will also examine the realities of working as a writer in the Canadian and international film industries. Prerequisite: Grade of B+ or better in FA/FILM 3120 6.00. Focuses on the initial stages of writing a feature-length screenplay. Explores idea of development, story groundwork and principles of story structure. Leads students through craft challenges in the creation of a fully developed story outline. The first of two year-long courses. Prerequisite: FA/FILM 2120 6.00; or FA/FILM 2121 6.00 and permission of the Film Department.